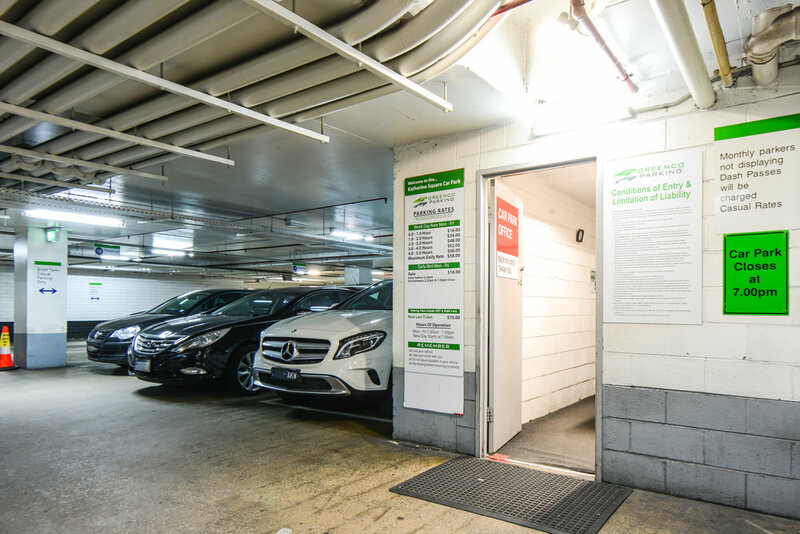 Katherine Place Car Park is located at 517 Flinders Lane, Melbourne, occupying two levels of basement underneath a 4 level office building. A modern car park comprising 106 bays, its prime Melbourne CBD location benefits from a huge local office workforce and close proximity to some of the CBD’s most vibrant restaurant and hospitality precincts, the Melbourne Aquarium, Southbank precinct and Crown Entertainment Precinct. Excelon acquired the property in 2013 and Greenco Parking was appointed to assist with the management of the car park's commercial operation.